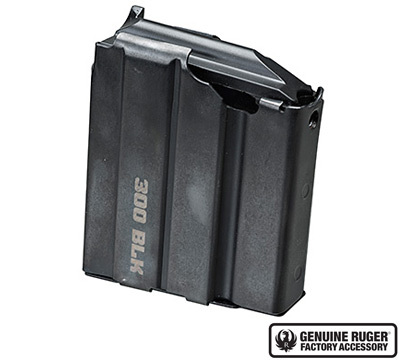 Black steel, 10-round magazine for the Ruger® Mini-14® rifle chambered in 300 Blackout. '300 BLK' is lasered on the side of the magazine. 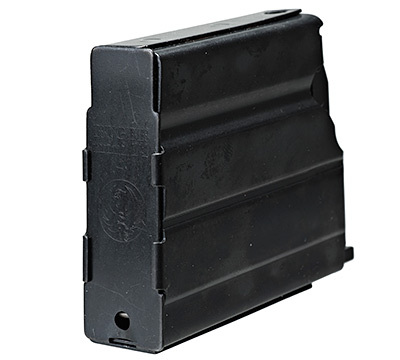 THIS MAGAZINE IS NOT INTERCHANGEABLE WITH THE .223 MAGAZINE.